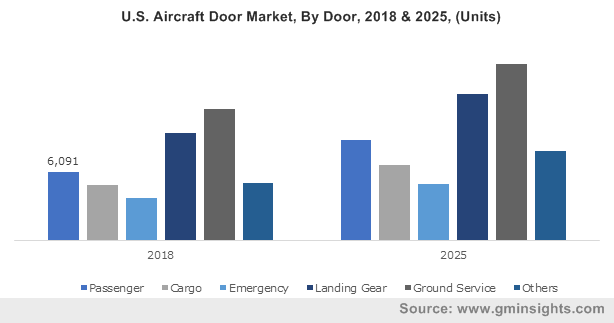 Commercial Aircraft « Global Market Insights, Inc.
Titanium sponge for aerospace & defense market share has been witnessing a sharp uptick in the recent years owing to an increased emphasis on enhancing the fuel efficiency and lower the weight of military and commercial aircrafts. 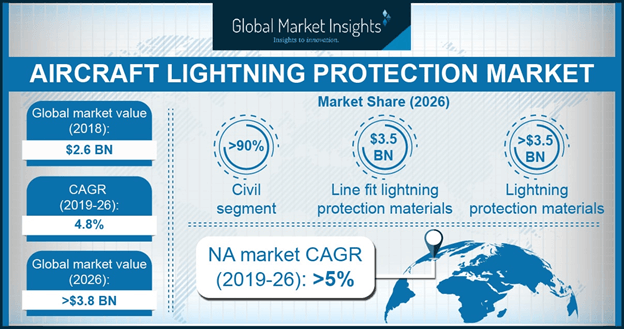 At the same time, it has been observed that numerous companies have been focusing on building technologically advanced facilities to manufacture environment friendly titanium sponge which has consequentially benefited the overall business space. Citing an instance that affirms this declaration, a group of private firms operating in titanium sponge for aerospace & defense industry have recently unveiled the first production facility in Europe that recycles aeronautical-grade titanium. Elaborating further, the facility, named as EcoTitanium, would utilize four times less energy than the traditional supply chain and would ensure titanium-ingot production to be highly eco-friendly. Here, it would be prudent to mention that this instance complements the efforts being undertaken by various European nations to indigenously manufacture a substantial amount of titanium sponge as to reduce the net imports of this metal and lower the dependence on Russian and American suppliers. Furthermore, the facility is slated to ramp up it’s manufacturing of titanium ingots to several thousand tons per annum in the times to come – a factor that would propel the growth prospects of titanium sponge for aerospace and defense market across Europe. 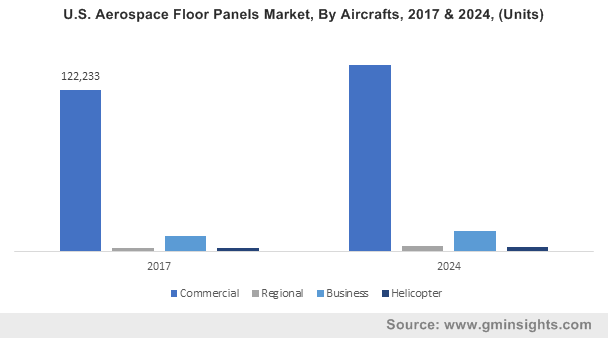 Apart from the emergence of eco-friendly titanium sponge, a new trend that is being observed across titanium sponge for aerospace & defense market is that of the manufacturing of titanium sponges by prominent space research institutions of a few nations for strategic purposes. For instance, in a bid to fulfill the ever-increasing titanium requirement for its space programs, the Indian Space and Research Organization’s (ISRO) Vikram Sarabhai Space Centre, in 2015, completed the construction of a full-fledged titanium sponge manufacturing plant at Chavara in the state of Kerala. Reportedly, the latest facility is slated to manufacture around 500 metric tons of titanium sponge per annum. Reportedly, the foremost space agency requires a total of 200-300 metric tons of titanium sponge on an annual basis to seamlessly conduct its ambitious space programs. Interestingly, the latest plant is being termed as a significant achievement of the ISRO as it is the only integrated facility across the overall titanium sponge for aerospace & defense industry that carries out all activities right from mining of titanium to production of aerospace-grade titanium sponge at the same location. The above instance further reinforces the prominence of titanium alloys that possess unique characteristics like excellent corrosion resistance and high strength to weight ratio. Apparently, these properties have made titanium alloys highly useful in liquid propellant tanks, interface rings for satellites, inter tank structures, and gas bottle/liners. Needless to mention, the aforementioned statements go on to explain the rising interest of space agencies across the globe to have in house titanium sponge manufacturing facilities that would quicken the pace of their space programs. 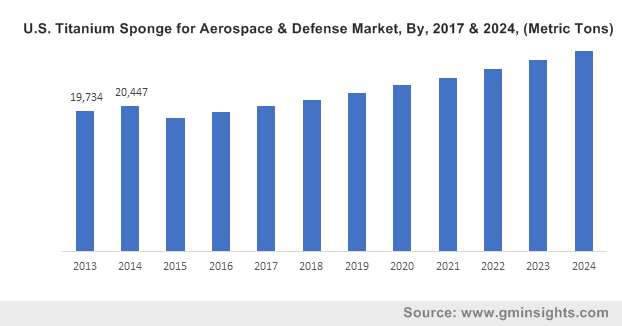 Concurrently, the escalating demand for high tensile strength and light weight metals that are being increasingly deployed in armor plating & missiles, helicopters, fire walls, landing gear, and naval ships would further accelerate the titanium sponge for aerospace & defense market share expansion. Moreover, the rising utilization of components made from these material alloys in engine mounts, turbines, seat rails, floor beam, fuselage frame, and doorframes would undoubtedly augment the commercialization potential of titanium sponge for aerospace & defense industry in the forthcoming years. In fact, according to a research report collated by Global Market Insights, Inc., the overall remuneration portfolio of this business sphere is estimated to surpass USD 1.9 billion by 2024. This entry was posted in Automotive & Transportation and tagged Aerospace & Defense Titanium Sponge Market, Airframes, Commercial Aircraft, Engine Parts, High-grade, Low-grade, Material Type, Medium-grade, Military Aircraft, Titanium Sponge for Aerospace & Defense Market, Titanium Sponge for Aerospace & Defense Market Report, Titanium Sponge for Aerospace & Defense Market Share, Titanium Sponge for Aerospace & Defense Market Size. E-2D Advanced Hawkeye’s successful completion of an aerial refueling test is the latest scoop grabbing most of the headlines in aerial refueling system marketplace. Reportedly, the three-hour test flight was being conducted by Air Test and Evaluation Squadron Two Zero in association with U.S. Navy’s 418th Flight Test Squadron from California based Edwards Air Force Base. In a bid to make this venture fruitful, the aerial refueling system equipped with E-2D, received 2,000 pounds of fuel from U.S. Navy’s KC-130 Hercules during its test flight at NAS (Naval Air Station) Patuxent River. Sources familiar with the matter stated that the effective testing undoubtedly reaffirms the on-time delivery of this breakthrough technology in aerial refueling system market. For the record, as of now, the production is scheduled for 2018, with operation slated to commence from 2020. It is rather claimed that U.S. Navy’s fleet carrier force has no equivalent across the globe, the fundamental aspect that has aided aerial refueling system market progression in the country. 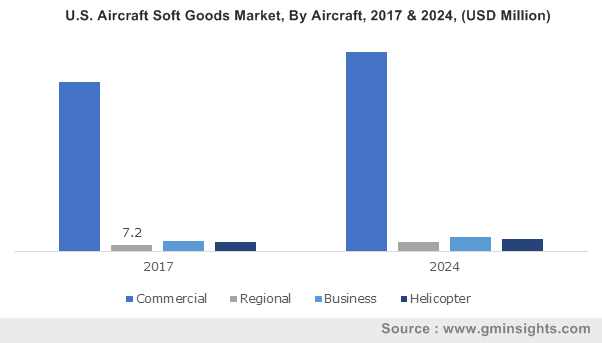 Increasing prevalence of a multitude of variants of these systems such as C-160 NG, KC-130, and KC-135 along with substantial aircraft deliveries is likely to significantly contribute toward the regional industry growth. In fact, with U.S. the helm, North America aerial refueling system industry is forecast to procure nearly 50% of the global share by 2024. The country is also home for a host of renowned companies operating in aerial refueling system market including the likes of Boeing and Lockheed Martin. It has been observed that these giants have been heavily inclining toward strategic alliance with regional air force department to gain a visibility and competitive edge. 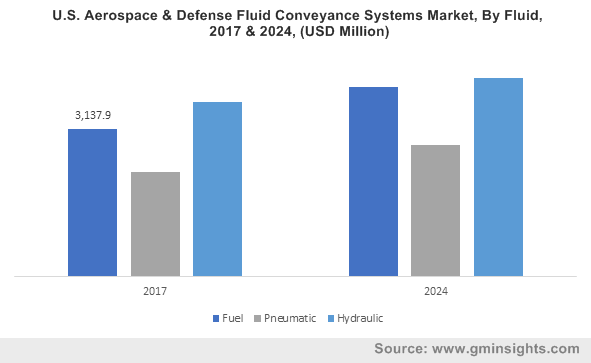 This is quite coherent from the increased aerial refueling system industry share from military aircraft application, which is slated to surpass USD 2.4 million by 2024. In this regard, couple of years back, Boeing won a contract to develop a new tanker, under which U.S Air Force department planned to buy 179 KC-46s. Reportedly, as a part of the contract worth of USD 44.5 billion, Boeing was responsible for costs beyond U.S. Navy’s commitment USD 4.82 billion. For the records, as of yesteryear, the renowned defense contractor had taken on nearly USD 2.9 billion in pretax costs. Despite the significant lingering problems that KC-46 program contract has been dealing with over the past years, it is expected to get resolved by this year, as the aerial refueling system market giant is now obligated to deliver 18 of the new tankers to the Air Force Department by October 2018. The regional business space is likely to observe similar kind of joint venture approaches from private and government entities. Some of the other leading names observing a strong contendership in aerial refueling system industry include GE Aviation System, Eaton Corporation, Zodiac Aerospace, Dassault Aviation, and Marshal Aerospace and Defense Group. Amidst the dynamically charged share battle, product innovations via M&A activities is one of the strongest parameters defining the sustainability quotient for the market players. For instance, recently Icon Aerospace Technology signed a multi-year contract with Cobham Mission Systems in a bid to offer its flagship in-flight refuelling hoses based at its Retford site. Reportedly, this long-term deal comes on the heels of supporting Cobham’s Air-to-Air Refuelling systems with Icon hose products that are already installed on renowned aircrafts like Airbus A330 MRTT and Boeing KC-46. 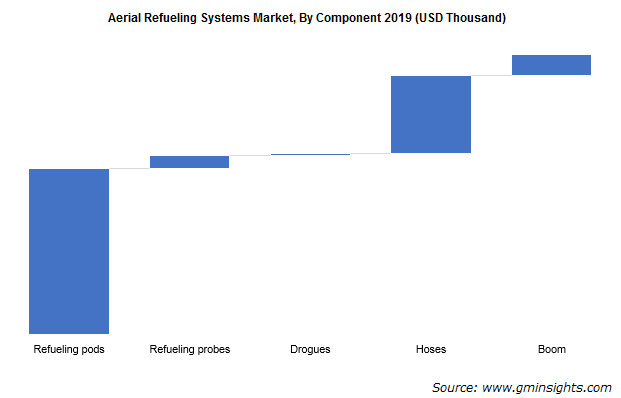 All in all, with robust product developments by the business stakeholders and increasing defense budgets across various countries, the revenue graph of aerial refueling system market is likely to witness a remarkable momentum over the forthcoming years. This entry was posted in Automotive & Transportation and tagged Aerial Refueling System Market, Aerial Refueling System Market Size, Aerial Refueling Systems Market, Aerial Refueling Systems Market Share, Aftermarket, Boom, Commercial Aircraft, Drogues, Flying Boom, Helicopters, Hoses, Military Aircraft, OEM, Probe and Drogue, Refueling Pods, Refueling Probes, UAV.